DrinkWire is Liquor.com’s showcase for the best articles, recipes and reviews from the web’s top writers and bloggers. 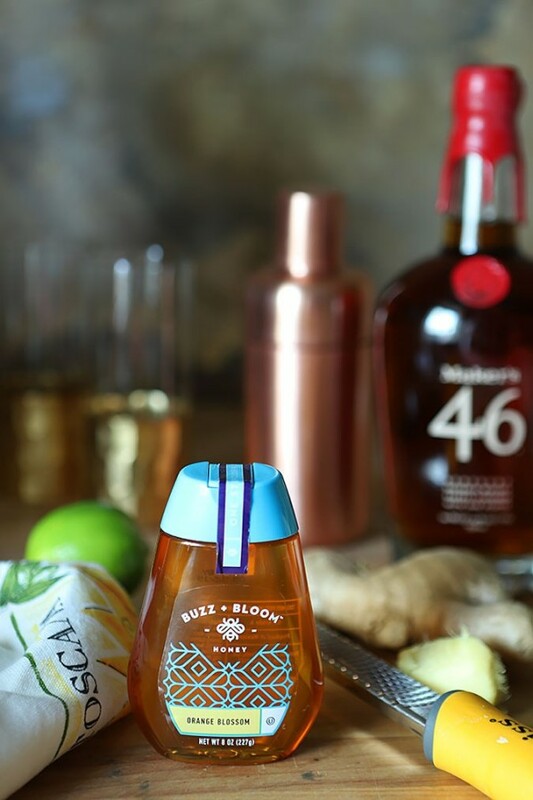 In this post, Creative Culinary offers a honey ginger fizz recipe. I know it’s really late for me to post but when I missed posting a cocktail on Friday, I promised it would be Saturday. Ooops…I was SO exhausted after a party I hosted in my home Friday evening that I decided to wait until Sunday when a friend would be here visiting and even made that a personal promise to a blogging friend. Hmm, guess what? That did not happen either. My pal Priscilla had just graduated from college after going back after marriage and a daughter who is now 8 and well, she and I were both two slugs…we just wanted to vegetate. So we ate leftovers from the party and chatted. That was nice. So John, my friend, here it is as promised, finally, and it’s a good one. Hoping you love ginger. 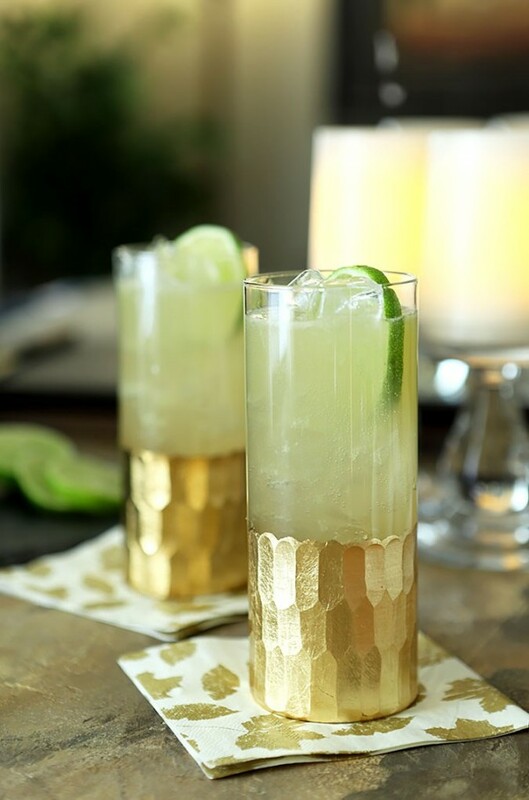 This cocktail has freshly grated ginger mixed with bourbon, lime, and honey; then it’s topped off with ginger beer which is really better and more gingery ginger ale. Try to find it…SO good and makes ginger ale seem almost punk once you’ve moved to the ginger beer side. Not as readily available as ginger ale but I get mine at World Market and some liquor stores now carry it too; trust me, it’s worth finding. By the way, John is another food and cocktail blogger. He does it just for fun and makes some fantastic dishes; although if we’re honest I think it’s the cocktails that we bonded over. Check out his blog at Kitchen Riffs for more inspiration! I’ll be back on Friday with a Christmas Eve libation. Or maybe Saturday, or…no, really I’m shooting for Friday; time to get back on track…cheers! 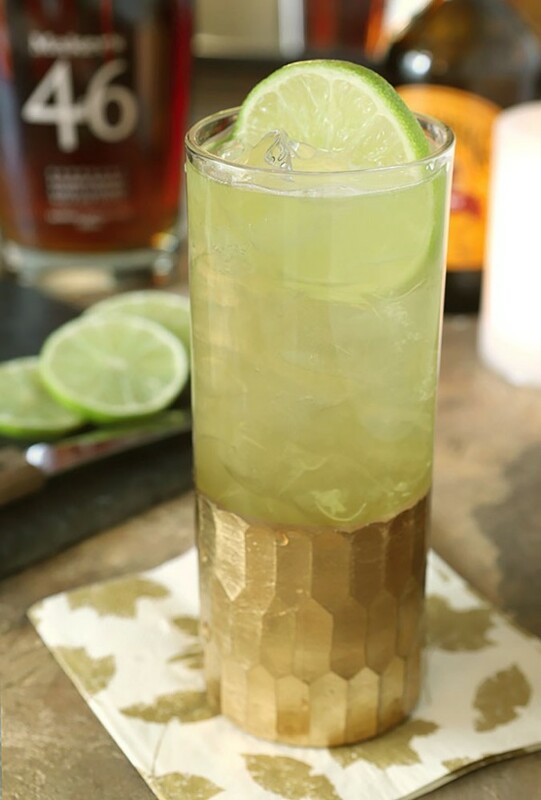 Combine bourbon, lime juice, honey, and grated ginger in an ice-filled cocktail shaker and shake about one minute or until container is ice cold. Strain over ice in a rocks or Collins glass and top with cold ginger beer. The post Honey Ginger Fizz appeared first on Creative Culinary.